I have to say that Maytag is an excellent brand. I bought my washing machine (a Maytag MTW6600TQ) from Sears 3 years ago and I have never had a problem with it and I am very satisfied. The 3.2 cubic foot basket is bigger than most washing machines I have ever used which makes it easier for me and reduces the amount of loads I have to wash.
Everything with this washing machine is so basic and easy to understand and easy to comprehend not like those washing machines with so many knobs that you have no clue about. It doesn't even feel like I have had this machine for 3 years. It works like its brand new. What I love about this machine also is that there is a 1 year warranty that comes with it which means if anything happens within the one year a technician will come out to your home and fix it right away. Also, since I have had this washing machine for 3 years now, they allow me to renew the warranty every year with several options available to me. Purchasing from a big company like "Maytag" definitely makes a huge difference because they always want the consumer to be happy, so in my opinion definitely buy a Maytag Washing Machine. You won't be disappointed, I know I wasn't. 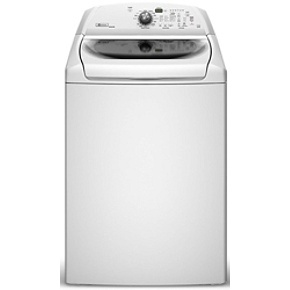 I spluged and spent $1000 for this washer in hopes of having it for an extended problem free period of time. 1.5 years after I bought the washer the repair issues started. I have owned the washer for just over 2 years and am having to spend a total of $700 on repair work.